Discussion in 'Football' started by Kagavi, Aug 22, 2013. I know there's more out there--share them if you got them! The current Cy head kindof has a cyclone around it. I would much rather have a brand logo that we have had for years than a new one every few years. Most great teams have logos that have never changed. Alabama, Texas, USC, Miami, Nebraska, Ohio State, Michigan, Florida State, Penn State, and Oklahoma have all stayed the same to represent the tradition that they have had and remember the players who wore that logo. When the new branding initiative came out a few years ago, I sent an email to the branding office requesting that there be a logo that actually features a cyclone. 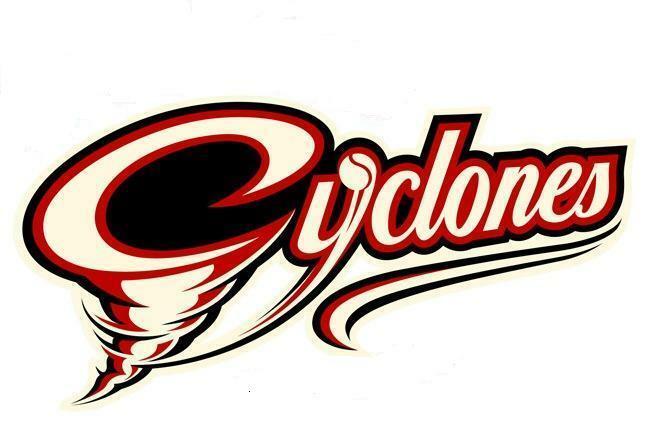 They said that this logo was intended as the logo to feature a "cyclone". They didn't have any plans or intention to make another logo featuring a tornado in profile like the first one posted by the OP. Bring back swirly bird, said nobody ever. Yea, it's too bad that mark is associated with such a crappy era of football. Walking Cy is much better than the 1984 version IMO. My favorite tornado logo isn't even one we created. I really like the animated CY-Tornado that they show on ESPN when they talk about Iowa State. Couldn't find an image, gif, or video of it though. I love walking Cy, but I think he has some of the same issues as the tornado bird, just a bit too detailed to work to work on helmets, etc. The '84 logo, on the other hand, without the Iowa State lettering on top, could have been an iconic helmet silhouette if there had been any semblance of success with it. The '84 logo just feels dated, and not dated in a oh that's so retro way, but in a wow that looks old way. I think the lettering is a lot of it though. I thought the curent logo could be changed and the "I" could be make into a cyclone with the wall cloud forming the top part of the "I", the cyclone forming the middle part, and the ground and a debris cloud forming the bottom part of the "I". There's still an official twirly bird secondary logo that doesn't have any wording. Walking Cy from '78 is still my favorite logo. The newer I-State logo is a close second. Unfortunately, we are stuck with an acronym, mascot, and nickname that aren't easy to convert to a logo. The tornado tends to look like a triangular blob and I haven't seen a version of Cy that doesn't look a bit hokey. I think other schools with cardinal mascots have the same problem (see Louisville). The "I" in ISU is also hard to deal with. It's not like Indiana were you can frame it nicely with a "U." I think the only logo I've ever liked is the '85 logo. The font is a pretty old but it could be easily spruced up. I would much rather have a brand logo that we have had for years than a new one every few years. Most great teams have logos that have never changed. Alabama, Texas, USC, Miami, Nebraska, Ohio State , Michigan, Florida State, Penn State, and Oklahoma have all stayed the same to represent the tradition that they have had and remember the players who wore that logo. Alabama doesn't bother with Crimson Tide, but instead uses their A logo or that elephant; Miami doesn't promote Hurricanes much, just uses their U logo along with the Ibis; I don't see OSU or Michigan promote buckeye nuts or wolverine animals much in their logos either.